One of the oldest wine growing countries in the world, France offers a variety of Old World wines made from a vast array of grapes in multiple styles. When most people think of French wines, two or three regions probably come to mind; however, French wine extends far beyond Bordeaux, Burgundy, and Champagne. Throughout the French countryside, you will see verdant vineyards growing rows and rows of grapes. In 2009, only Spain outproduced France in acreage of wine grapes grown. Currently, France grows approximately 11 percent of the world's wine grapes, at about two million acres throughout the country. In spite of falling behind in acreage, however, France outpaces both Spain and Italy in production, producing a full 17.5 percent of the world's wine supply, or nearly 5 million liters. Wines in France are named for the region and/or subregion from which they come, rather than the varietal of grape used. French law dictates what types of grapes can be blended into wines with an appellation designation. France has several regions. Perhaps the most well-known of all of France's wine regions, Bordeaux produces Cabernet Sauvignon-Merlot blends with other grapes added, including Petite Verdot, Cabernet Franc, Carmenère, and Malbec. Red Bordeaux wines age well, and they are often powerfully tannic wines with bold flavors of dark fruits, plums, and chocolate. Some of the world's most famous wines come from the Bordeaux region, such as Chateau Lafite-Rothschilde, and the world's most expensive wine, Château Petrus. White Bordeaux wines are typically late harvest, sweet wines made from Sémillon and Sauvignon Blanc grapes. The dessert wines contain notes of caramel, vanilla and apricots. These wines are labeled for the sub-regions in which they are produced: Sauternes and Barsac. This region is famous for its world class Pinot Noir wines, labeled simply as Burgundy. Pinot Noirs from Burgundy are deep purple wines with flavors of plums, tobacco, earth, and dark fruit. The wines are often delicate and subtle with flavors that unfold as you hold the wine in your mouth. The region has 21 appellations, many that produce spectacular Pinot Noir wines. The region also produces Chablis wines, made from Chardonnay grapes. These crisp, acidic wines offer a dry fruitiness with flavors of apples and citrus. Another well-known wine from the Burgundy region comes from the Beaujolais appellation. 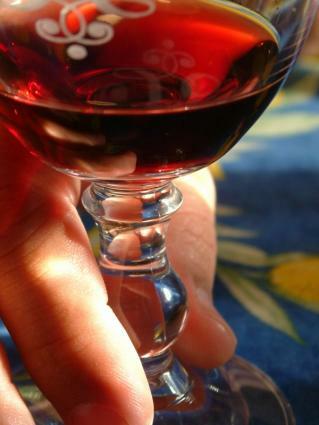 Beaujolais Nouveau wines are quite different than other wines. Instead of benefiting from age, Beaujolais wines, made from the Gamay grape, are fresh and fruity, meant to be drunk while in their youth. Even in less than stellar vintages, you can find a number of very good wines from the Burgundy region. This wine region produces sparkling wines made in the methode champenoise. The wines contain blends or singular varietals made from Pinot Noir and Chardonnay grapes. Sparklers from Champagne offer flavors of vanilla, biscuits and citrus, bubbling up with a refreshing effervescence. Only wines from the Champagne region can legally be labeled as Champagne. The Rhône produces a number of highly rated wines. Alsatian wines often get lost in the shuffle because of their more popular German counterparts, but the region still makes some excellent wines. While Loire wines seldom garner 95+ point ratings, there are many respectable wines from this region. This region produces many French table wines made from blends of red grapes such as Mourvèdre, Cabernet Sauvignon, Merlot, and Grenache. The wines from the region range from whites and blush wines to full-bodied reds, depending on the blend of grapes used. Like the Loire, Languedoc wines don't pull in super high ratings, but there are some very good value wines from this region. This region produces dry, fruity reds and blush wines made from Syrah, Cinsault, Grenache, Mourvèdre, and Tibouren. Most are youthful drinkers with little aging potential, and many of the wines in this region are consumed as table wines in France. Bordeaux, Champagne, Rhone wines, and Burgundies all remain popular with wine drinkers around the world, leading to higher prices for French wines. Many New World winemakers are making wines in the tradition of popular French varieties. Many of these wines are more affordable than wines from France. Price doesn't always indicate the quality of wines. Read wine reviews from a respected source like Wine Spectator to discover quality wines in your budget. Expect to pay more for top tier wines from excellent vintages. Wine prices often increase after wines have been rated. A great place to price the wines you'd like to try is Wine Searcher. Many French wines have a deserved stellar reputation for excellence around the world. Try multiple wines to find one you enjoy that fits within your budget.